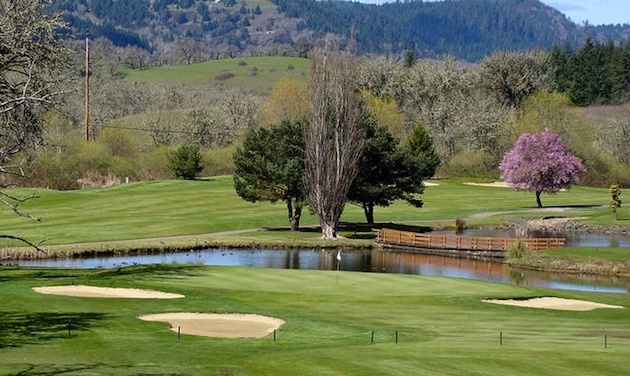 The Umpqua Valley is famous for its wineries and covered bridges, and RVers also love its RV park and golf course. For RV snowbirds who travel along I-5, there are many attractions once they leave the Interstate. Sutherlin, a town of approximately 8,000 people located in south central Oregon, is a typical American small town that most travellers tend to bypass. The town is located 11 miles (17 kilometres) north of Roseburg off Exit 136. This area is known for fishing in the Copper Creek Reservoir, the Rogue-Umpqua Scenic Byway and 32 local wineries. What also draws tourists are the six quaint covered bridges that give the Umpqua Valley a unique look. 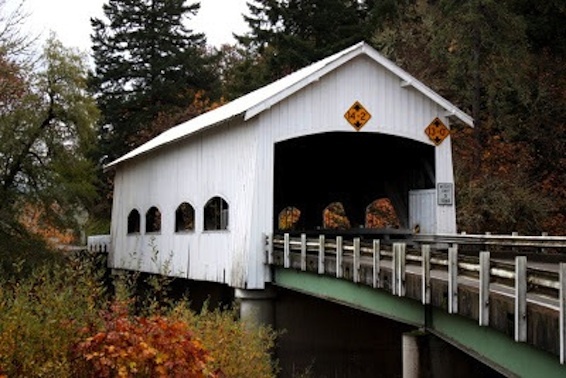 Although covered bridges are more common and better known in Vermont, the state of Oregon has 56 covered bridges. 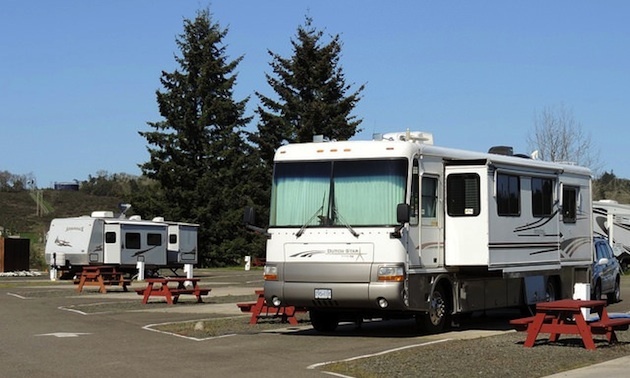 For RVers wishing to visit Sutherlin, the Umpqua Golf and RV Resort is highly recommended. Umpqua is a Cow Creek Indian name meaning “this is the place” and refers to the valley at the convergence of the Klamath, Cascade and Coastal mountain ranges. 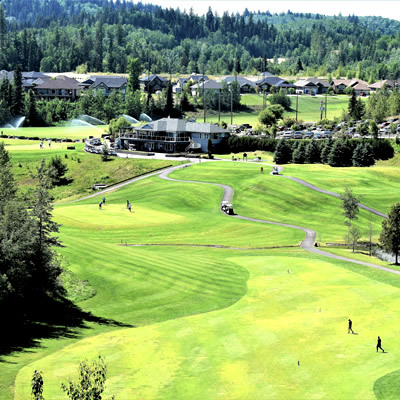 As for the RV park, it is located on top of a small hill, with the golf course laid out around the base. There are 41 spaces, with 13 major pull-through sites. 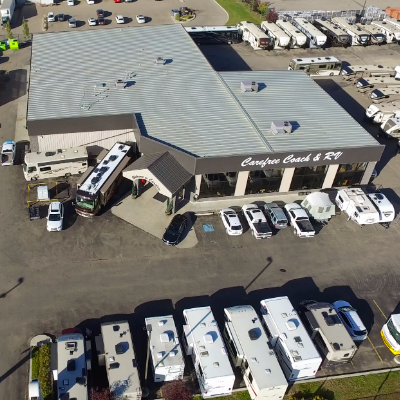 This park is fully serviced, with propane, 50 amp hook-ups, cable, free Internet, laundry facilities, clean washrooms and showers and plenty of room for the big rigs. Umpqua is advertised as a four star resort at two star prices. Clint Newell, the owner and a local businessman, also owns Stewart Park, a nine-hole golf course which is located in Roseburg. A very pleasant feature about the location of this RV park is that you can walk to the first tee in minutes. Staying in the park also means a discount on green fees. This fully serviced golf course includes a driving range and PGA instructors. The golf course originally opened in 1971 as Oak Hills, a public course serving Douglas County. Over the years the course has undergone major renovations, including the redesign of six holes. Residential homes by Fairway Estates have been constructed along some fairways. The golf course is very hilly and can be walked, but I advised taking a power cart. From the back tees the course is 6,614 yards, with a slope of 140. The many elevation changes only add to the degree of difficulty, so playing off the blue tees at 6,174 yards is recommended. The greens are large, sloped back to front, have some undulation and are bent grass. The generous fairways are winter rye grass and lined with trees and well-placed bunkers. Most of the tee boxes are elevated, with a great scenic view of the local Callahan Mountains. Water comes into play on 10 holes, especially the par-3 16th, which is their signature hole. Although Hole 2 is the number-one handicap hole, hole 15 is really the most troublesome on the course at 541 yards—narrow and uphill to a slanted green. 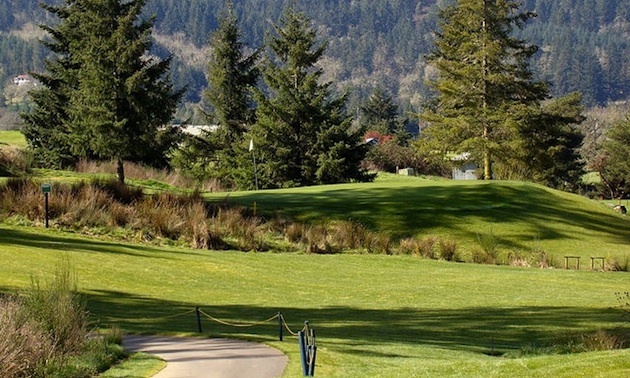 Umpqua is not a PGA championship course, but is a quality course providing a challenge for all levels of golfers. Spend a day or two in Sutherlin and enjoy the attractions of Sutherlin and the Umpqua Valley before returning to the Interstate. 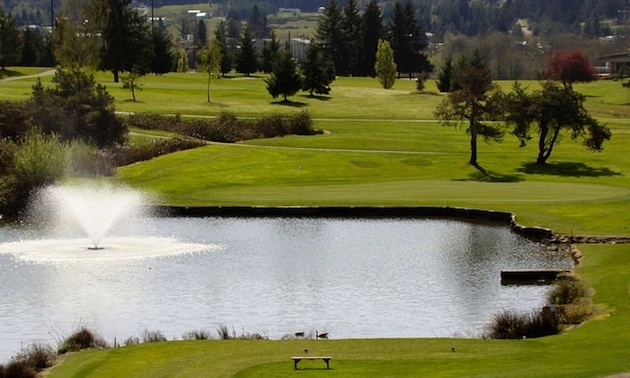 The RV golfer stays at Seven Feathers Resort in Oregon and plays a round at the Myrtle Creek Golf Course. Aberdeen Glen was opened in 1999 and has been an enjoyable course for golfers ever since. This is a public golf course without memberships, but it offers 20 game passes at a reasonable price.